With generous support from Ontario’s Local Poverty Reduction Fund (LPRF), the Centre for Studies on Poverty and Social Citizenship (CSPSC) is providing support to Lanark County Mental Health in conducting an evaluation of their hoarding intervention group. . Offered to clients on-site in Smith Falls, Lanark County Mental Health’s hoarding treatment program is closely based on the “Buried in Treasure” hoarding treatment program, intitially developed by Steketee and Frost in 2007. This is the first evidence-based mental health model for hoarding treatment. Lanark County Mental Health’s hoarding treatment group aims to provide treatment that can allow individuals with moderate to severe hoarding behaviour to maintain their successes over the long term, preventing evictions and chronic homelessness within the Lanark County community. Comprehensive hoarding programs in Canada are rare, and this program could possibly be on one of the first rural hoarding programs in the province of Ontario. Equally, this is one of the first studies of its kind. There is a significant body of literature examining “Buried in Treasure” program outcomes in urban settings. This evaluation will be unique in its focus on hoarding treatment outcomes for a rural population. This mixed-methods study will be using a 2 group experimental design and will include quantitative measures as well as qualitative interviews with participants. 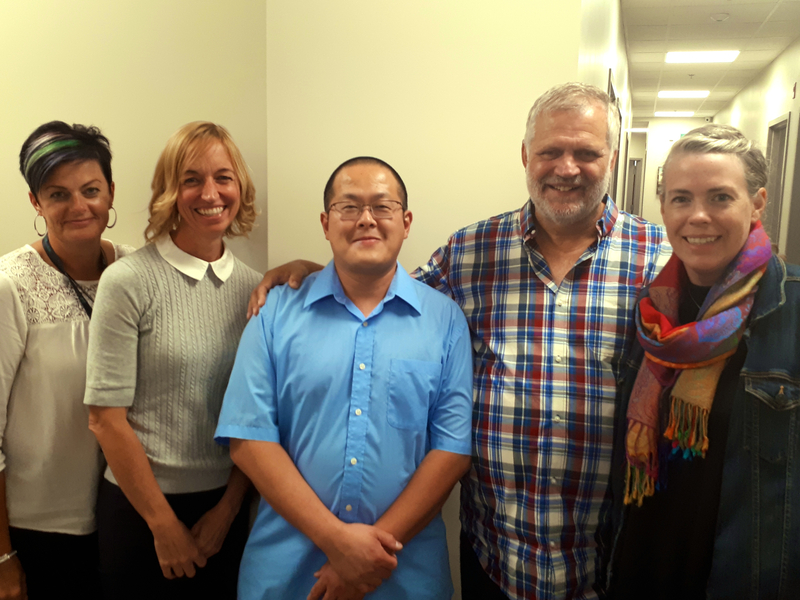 The research team includes Karen McIntosh and Steven Ang, graduate students with the Carleton School of Social Work, as well as Adje van de Sande, Chair of CSPSC, acting as Principal Investigator and Zoey Feder, Administrative Assistant of CSPSC, in a supporting role. This study involves a participatory approach, where mental health peer workers participate on an advisory committee and are involved in multiple phases of the research process including participating on a Research Advisory Committee and collecting participant data. The Centre looks forward to conducting a full analysis and publishing a final research report for this study for spring 2019.